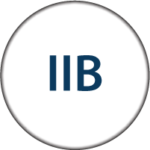 IBM Integration Bus Advanced previously known as WebSphere Message Broker is an enterprise service bus providing connectivity and data transformation across SOA and non-SOA environments. Royal Cyber’s API management solution for IBM DataPower makes internal systems to be easily reached as APIs and SOA services by leveraging DataPower’s security and integration features. IBM API Management enables you to create, assemble, manage, secure and socialize web application programming interfaces (API). 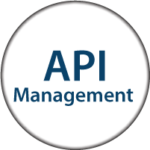 API Management offers a wide array of API and service management.